Ambition: To just be a sound person (jokes).. Want to work in creative advertising/PR. 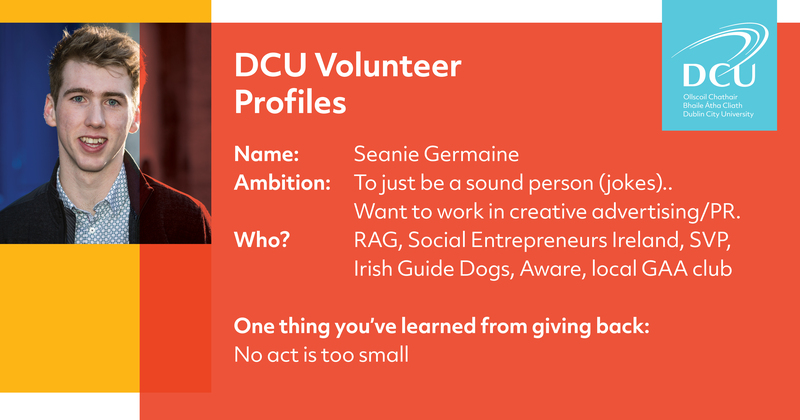 I didn’t volunteer much before I got to university, nor did I see myself devoting much time to it but after getting involved with RAG by accident, it’s safe to say that it has been my most enjoyable experience I’ve had at DCU. As chairperson of the RAG society, I’m having the absolute time of my life with a society full of my mates while doing amazing work at the same time. We really aim to make volunteering accessible, fun and different on campus and try to help form a habit of volunteering for the future. Outside of university, I’ve volunteered with Social Entrepreneurs Ireland, an organisation who do incredible work in turning good ideas into viable social enterprises. As well as this, I have taken part in some fundraisers on campus such as ‘Rags to Riches’ during which I raised €6000 for the Irish Guide Dogs Association. Similarly, I fundraised for Aware by competing in ‘The Quest’ with a grand total of €3000. Besides the feel good factor and other benefits of giving back, just working with some of the soundest bunch of people in DCU is a privilege. All of my best friends have been made through RAG and volunteering in DCU. Nothing beats getting together with your mates and making an impact on somebody's daily life. After raising over €5000 during our most successful RAG Rumble fundraiser ever, the following day we visited Respond Housing, a temporary accommodation site for homeless parents and young children. The plan was to make Santa wishlists for the kids and to provide one stocking filler so no child would be empty handed on Christmas day. However, since our fundraiser was so successful we now had the funds to finance a proper toy for each child and alleviate some of the stress those families were under to make Christmas special on such a tight budget. Giving the good news, there were tears from the Respond project managers and our committee members - I’ll never forget how special the impact we had was. No act is too small. Volunteering is not about solving the world’s problems. Just because you may not be able to affect social change on a huge scale does not make your efforts any less valuable. 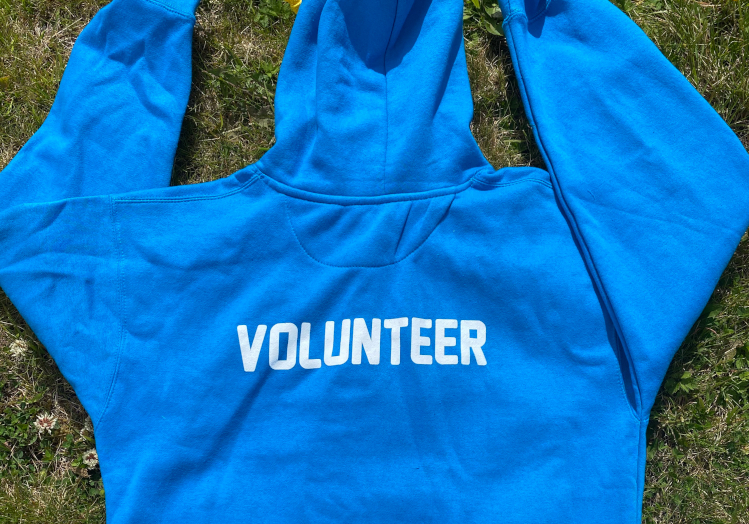 Whether you volunteer by coaching kids GAA, help paint a wall to brighten up someone’s surroundings or even make a stab at fundraising - all your efforts are worthwhile, appreciated and vital to the overall improvement of people’s lives.